Starting GPS Co-ordinates: N51 20' 30" W001 59' 10"
Hay Down Lane is a byway of two halves. The northern half is an overgrown dead-end since there is no turning onto the A303 at the end of it and is therefore best ignored. 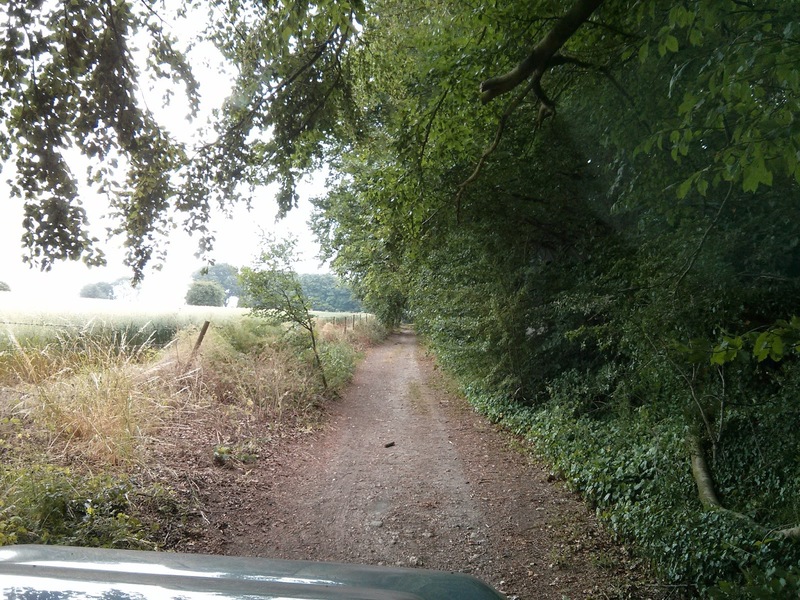 With that in mind the byway effectively starts by leaving the farmyard of Bush Farm in a south-easterly direction. There's little to say about this very short, straight stretch of byway, however. The hedge on the southern side of the greenlane has become unkempt, as is nature's want, and will add the odd scratch to protesting paintwork. The earthen/gravel surface undulates somewhat and the bank on the northern side of the byway means your vehicle will take some unusual attitudes at times, but never dramatically so. The greenlane soon ends back on the tarmac of Hay Down Lane at a junction with some footpaths. The Hawk Conservancy, a bird-of-prey centre, is just fantastic. It's nearby to the north-east. To the north of the byway is Thruxton race circuit, should you desire to travel at a somewhat faster pace than that offered by greenlaning! To Hampshire County Council these are Byways 28 and 31, combined here for convenience.